The Cheddar is Mads and Katie's podcast dedicated to spreading some more girl love. 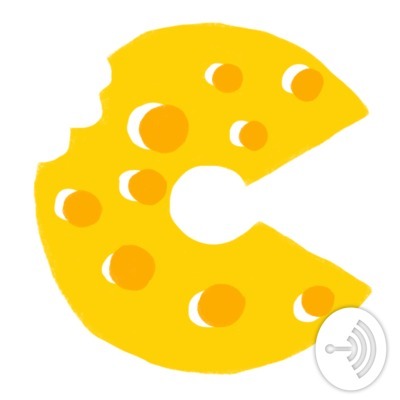 Created for the purpose of uplifting women techies and entrepreneurs, listeners can gain insight, inspiration, and tidbits of knowledge... All while being entertained by the cheesy goodness that is The Cheddar. Ep#14: Can Women Really Have It All? Are you wondering if you'll ever be able to get that executive position while also raising a family and achieving the perfect work-life balance? In this episode, Mads and Katie reveal the barriers preventing women from having it all and if it's realistically possible. The answer might surprise you! Katie and Mads explore the pay gap between actors and actresses, male and female athletes, and more! You may be asking, but what does it matter if they're all making millions? Find out why closing the divide matters in this episode. Katie and Mads share a topic close to their hearts... and wallets! The Pink tax, is a tax added to goods targeted for women (think makeup, hair products, pink razors, and tampons). How can you avoid the Pink tax? Listen now! With the Google's and Facebook's of the world, millennials are showing a strong interest in a creative workplace environment and progress towards achieving work-life balance. But really, why does everyone want to start their own business these days? Katie and Mads evaluate the pros and cons of startups to help you in triangulating your career trajectory. Katie and Mads share a topic near and dear to their hearts, imposters syndrome. Have you ever felt like a fraud? That your accomplishments were given to you? That you're underserving? The dynamic duo share their tips on how they fight against it as women in a male-dominated industry, and what men can do to uplift women in the workplace. Have you ever wondered how your vital information, such as credit cards, is being stored and protected? Or what types of qualifications you would need to be able to protect it? In this episode, Katie and Mads dive into PCI DSS compliance and the various certifications that technology consultants receive to ensure credibility on the subject matter. Katie and Mads are back! The dynamic duo reflects on their college internships and shares their tips and tricks for the interview process. Mads and Katie want to inform listeners about cryptocurrency. Why is everyone so obsessed? What's the tech behind the scenes? And why haven't we heard about the women involved? In this episode we touch upon women making strides in sustainable fashion, most notably Emma Watson, and steps we can take to make your closet creative and eco-friendly. Katie and Mads get to interview their good friend and mentor Nelly Wilson. Nelly is a masters student in Information Systems and will be interning with Google in the fall! We asked about her favorite books, interview tips, and life advice. You don't want to miss! After reflecting on women from episode two that liked to play with trains and video games, we asked ourselves, what impact did gender specific toys have on our own lives? Also, we introduce a new segment: this week in tech! Listen to the wonderful insights of Isabella Silverio, Start-up Guru and Founder of Guava Empowerment. Guava Empowerment is a start-up that strives to empower women starting their own business (commonly known as womenpreneurs). In this special edition episode, Katie and Mads spread some #girllove by recognizing 10 women who have greatly impacted the tech field. Hats off to these amazing women! In their first episode, Katie and Mads share what inspired them to produce The Cheddar. From attending their first hackathon to discussing the glass ceiling (minorities being prevented from advancing a particular profession), prepare to be inspired.